I got this head a few weeks ago and it was pretty quiet, especially on the clean channel. Now it it has become quite noisy of late on clean and more on dirty (expected since higher gain). I changed out the preamp tubes, but that didn’t help. Would the power tubes be the culprit? I don’t have 4 matching el84’s to replace them at the moment. Just wanted to check before I order if they are possibly the cause. It’s loud static with some popping/cracking. I'm assuming your going straight into the amp and have tried a couple of different leads and guitars and still the same issue? I only say this as recently my new Rocker 15 was intermitendly fading out then back in in volume ... I thought if was a tube issue but then identified it was actually caused by the power supply to one of the pedals! If it effects both channels it's quite likely to be the power tubes, if it is a tube problem.... Which it most likely is, so certainly the thing to check first. You don't say how old or how much use the tubes have had... I'm guessing you bought it used. You don't need 4 el84s to diagnose the issue you only need one, replacing one at a time then at least you will know it is a tube. 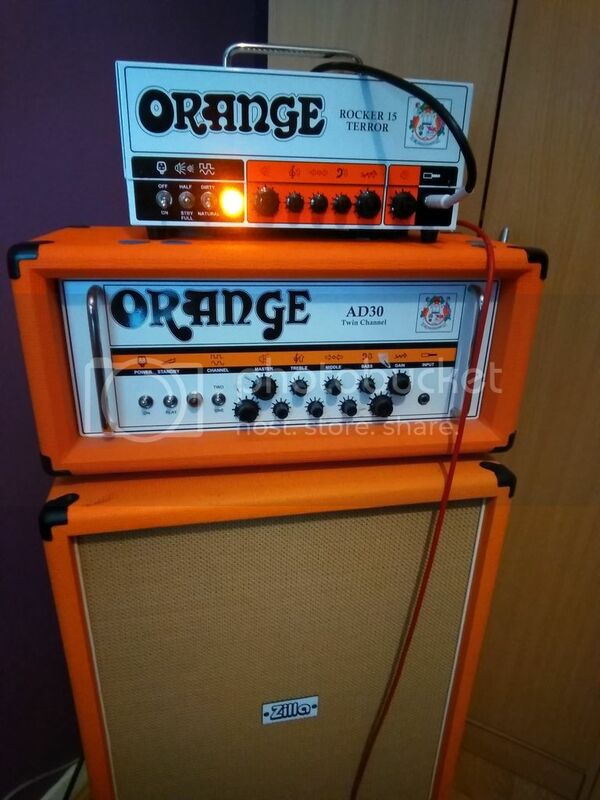 Using the amp briefly with a none matched tube is not going to do it anyharm. If it's not a tube then you may not need to buy any......although the issue may be more expensive to fix. Be sure to check the 12at-7 for the effects loop as well. And whilst you can check that it is a power valve with just one spare EL84 as Ronnie suggested, if that is the issue, you will need to replace the whole set with a new matched quad. Thanks for the suggestions! I swapped around preamp tubes and power tubes and the amp simply lost volume on both channels and I couldn’t get it fixed with any of my tubes. Off to the amp tech it went today!